A bomb exploded at a popular sports bar in the town of Mubi in the northeastern state of Adamawa killing at least 14 people and wounding another 12, police sources said on Sunday. The explosion happened as patrons were watching a football match, police added. Adamawa, which borders Cameroon, is one of three northeastern states where the Islamist extremist group Boko Haram has launched a number of attacks against the state and civilians. In Mubi, there were no immediate claims of responsibility and police have locked down the town in a security curfew. The death toll is expected to rise, but, so far, journalists have not been able to gain access to the site of the blast. Last year, Nigerian President Goodluck Jonathan imposed a state of emergency in Adamawa, Borno and Yube, but since then Boko Haram militants have increased their attacks as they seek to create a separate state based on Islamic Sharia law. 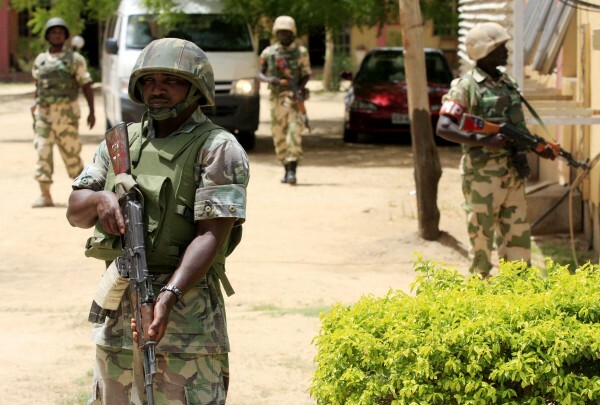 Last week, police sources told the media that Boko Haram fighters attacked a police and army barracks in the town of Buni Yadi in Yobe, killing 24 soldiers and 21 police officers. Fearing that an emboldened Boko Haram could push its military operations beyond Adamawa’s borders, Cameroon last week deployed an additional 1,000 police and soldiers along its northern border with Nigeria. In March, Nigeria’s Senate President David Mark visiting UN Deputy Secretary-General Jan Eliasson that international efforts are required to end the threat from the Boko Haram militant group. Boko Haram debuted on the Nigerian stage in 2002 and has been calling for an end to secular-based law, to be replaced with Islamic Sharia law. It has been fighting government forces and raiding villages ever since, particularly in the country’s northeast.